Trouble started brewing when He Xue Zhen and He Yu Ting meet the Jiao brothers of Qiang De Gong Fu, both high government officials for the Zhao Emperor. 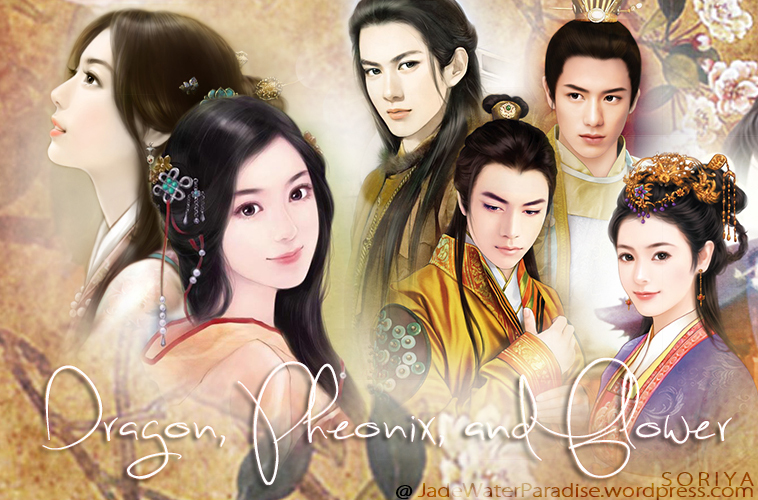 He Xue Zhen and the older Jiao brother, Jiao Heng, quickly fell in love while He Yu Ting and He Ying Jie were slower to kindle their flame. He Yu Ting’s romance with He Ying Jie soon caused a love triangle that included Princess Zhao Jia Yi, the 8th imperial daughter of the Emperor. 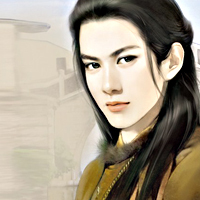 To make matter worst, He Xue Zhen was engaged to Feng Peng Fei, the master of Red Dragon Trading Guild, a powerful business empire in all of Zhao. And to end the betrothal will prove to destroy the He family. Due to my limited knowledge of Chinese dynasties, the setting in the story will be more fictional than real. 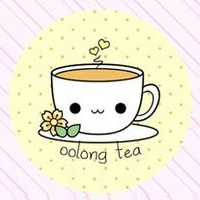 I’m just combining my knowledge of customs from various dramas and novels so we’ll just have to pretend that the Zhao dynasty exists. In this era, the country is at its peak, experiencing splendor and riches beyond compare, surpassing those all the previous dynasty. They have an enormous army and powerful allies. Their economic is booming with flourishing trades and thriving agriculture. Woman also have much more freedom than most other dynasties. However, they are at war over the western territories with the Tibetan kingdom. He Fu You – The family patriarch and owner of He Family Trading Goods, a prosperous trading business. Originally, they were silk traders but He Fu You had expanded his trades over the last decade. Merchant He is a good father but could be ruthless and greedy when it comes to money and power. 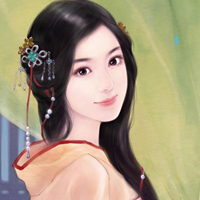 He Xue Zhen – Considered the one of most beautiful maiden in the Imperial City, Xue Zhen is also gentle and shy. Although smart, she is usually quiet and let her younger sister lead. 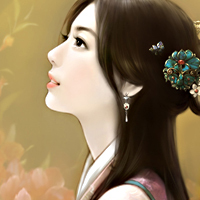 He Yu Ting – She is considered the more intelligent of the two sisters. Unlike her shy sister, Yu Ting is more passionate and tends to do things her own way, even if it’s against her father’s wishes. He Ming- He Fu You’s nephew who came to live with the family after an epidemic killed his entire family. He grew up with his cousins and hold brotherly affections over them. He is Yu Ting’s closest confidant (besides her sister). Li Ping – He Xue Zhen’s maid. Older twin sister of Li Mei. Li Mei – He Yu Ting’s maid. Younger twin sister of Li Ping. Jiao Hui Zhong, Duke of Qiang De – Prime Minister of the Zhao’s court. He is known for his righteousness and loyalty to the Emperor. His wife is the Emperor’s beloved first cousin. Xi Wan, Princess Tong Qing – Jiao Hui Zhong’s wife. Although she was the Emperor’s most favored cousin, she was originally a concubine’s daughter of the Xi family, a distance relative of the current Emperor’s maternal side. 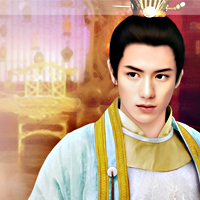 Jiao Heng, Marquis of Jiao – He is a favored high status government official who would inherit his father’s position as Prime Minister after he retires. 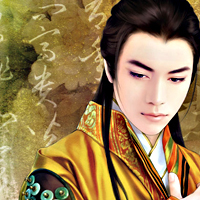 Jiao Ying Jie, Earl of Jiao – He is a powerful general in Zhao and is revered far and wide in the nation. Although a great swordsman, he sometimes let emotion get the better of him. Feng Xie – The Feng family patriarch and founder of Red Dragon Trading Guild. Feng Peng Fei’s father. He passed away years ago. Ming Zhen Zhen – Feng Xie’s wife and Feng Peng Fei’s mother. She already passed away. Feng Peng Fei – Current owner of Red Dragon Trading Guild. He was known to be a cold and ruthless man holding great power over all trades in the empire. 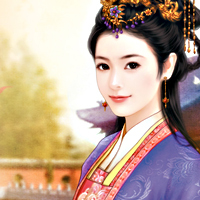 Princess Zhao Jia Yi – A spoiled princess of the court and is the Emperor’s favorite child. She had been in love with Li Yuan since they were childhood playmates. She is gifted in arts, music, and dancing. Your illustrations are absolutely exquisite! Doesn’t matter – looking forward to reading more!